This summer’s crop of big-budget movies struggled to get into true blockbuster territory in the U.S. and Canada. Domestically, only one film has managed to gross more than $300 million in 2014 – Guardians of the Galaxy, a film that seemed least likely to be this year’s breakout hit. But grossing a ton of money doesn’t necessarily mean that a film will be forever embedded in popular culture. In fact, several films have earned more than $300 million in 2014 dollars and then fallen into relative obscurity in later years. I’ve compiled a list of the 10 most obscure films that earned more than $300 million in adjusted dollars. Yes, most of these films had help from re-releases over the years, but these numbers are based on the number of tickets they sold, which is a great equalizer in comparing films with multiple release dates. 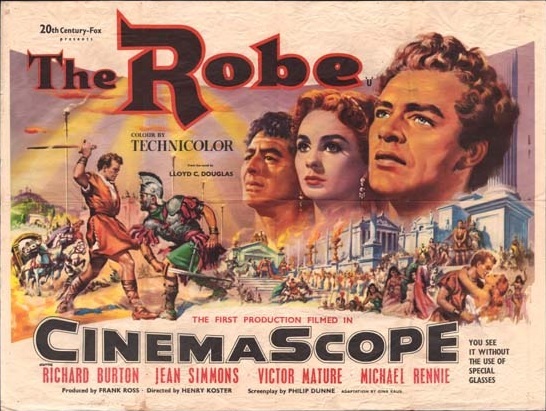 The robe in this film’s title refers to the one worn by Jesus on his way to Golgotha and won by one of the Roman soliders in a game of chance while Jesus hung on the cross. This film postulates that that soldier had a change of heart and became a Christian shortly after. He even became a missionary with the Apostle Peter. And all of this religious content resonated with audiences so much that The Robe became much more popular than many of today’s blockbusters. Of course, it helped that this was the decade of other big Biblical productions, such as Ben-Hur and The Ten Commandments. Those made even more than The Robe, and they’re better remembered today. Remember a time when Catholic priests were always held in high regard and we never questioned their moral integrity? The Bells of St. Mary’s is a nice reminder of that gentler time. It’s a sequel to 1944’s Going My Way, and it has a similarly hopeful and fun message. 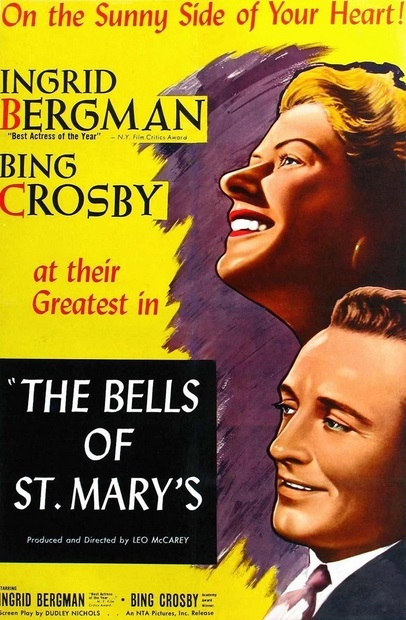 The Bells of St. Mary’s stars an unbelievably young Bing Crosby and Ingrid Bergman as a priest and nun, respectively, who are trying to save their cathedral from being shut down. Think Sister Act, except without the whole witness-protection thing. Actually, that’s exactly what Sister Act 2: Back in the Habit was. All right, think Sister Act 2, except good. 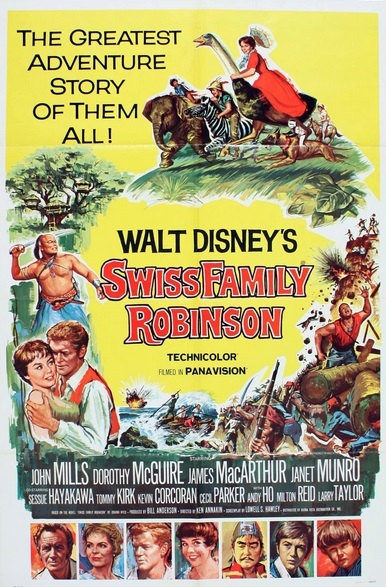 Before The Blue Lagoon or Cast Away there was Swiss Family Robinson. It’s all about a shipwrecked family learning to tough it out on an uncharted island while the threat of pirates looms not too far away. A western earning more than $400 million? It seems impossible, especially nowadays with bombs like A Million Ways to Die in the West and other westerns routinely struggling to get past the $50 million mark. But these kinds of movies were big business in the 1940s, 1950s, and even later through the Clint Eastwood era. 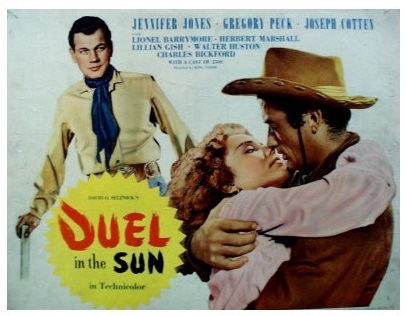 Duel in the Sun is notable for being produced by David O. Selznick who had previously produced Gone with the Wind and for having Lionel Barrymore in a supporting role the same year as his memorable turn as Mr. Potter in It’s a Wonderful Life. Barrymore will always be known for that role instead of the one in this film, which earned considerably more money. First a western and now a horror film? That’s right. But House of Wax is more than just a horror film. It stars Vincent Price right at the start of his prolific career in this genre. And it was also the first 3D film in color. This is probably the most well-known film on this list because of that distinction, but it’s still pretty obscure compared to other horror films, like Alien and The Silence of the Lambs. 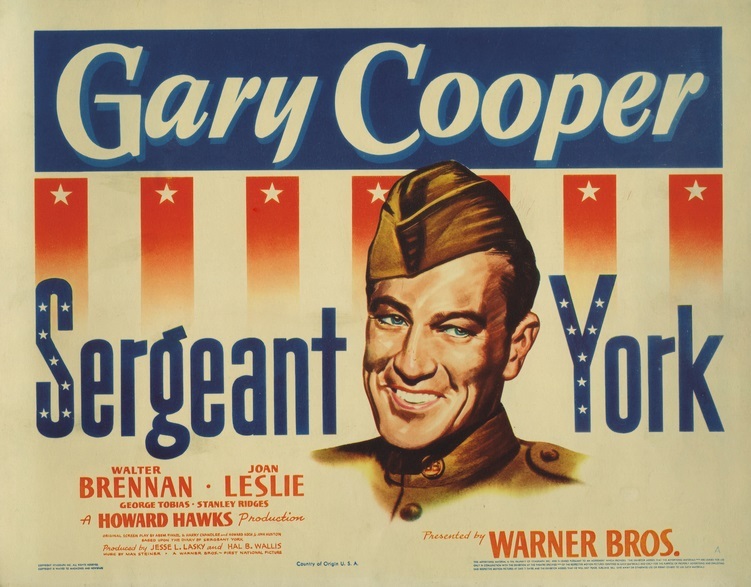 Starring Gary Cooper (a decade before his incredible performance in High Noon) and directed by the legendary Howard Hawks, Sergeant York is a deeply personal film that earned a lot of praise when it came out. It’s about a flawed man who has a change of heart and turns to God. When he’s recruited into the U.S. Army during World War I, he wants to refuse, but he soon discovers that God has a special purpose for him. Another movie with an explicitly religious theme to it. Interesting. This is an incredibly uplifting movie. You can’t help thinking of great men like George Washington and Abraham Lincoln when you see what a great and yet humble man Sergeant York was. Howard Hawks is better known for Bringing Up Baby, The Big Sleep, and Scarface (1932), among other films, but Sergeant York is definitely among his best. Now we’re going way back to the Silent Era. This film is so old that it’s actually in the public domain. It’s about a family that winds up being split apart by World War I and brother fights against brother on the French and German sides. It has a depressing conclusion, but there is a lot of great stuff in this film, especially its tango dance sequence. 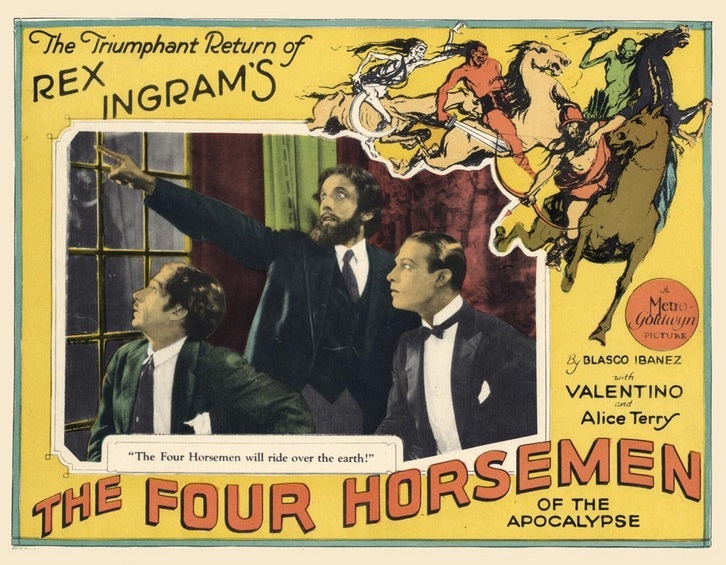 Amazingly, The Four Horsemen of the Apocalypse outperformed Charlie Chaplin’s The Kid at the box office to become the top-grossing film of 1921. But, like most silent films, it has mostly faded into a quiet corner of history over the years. 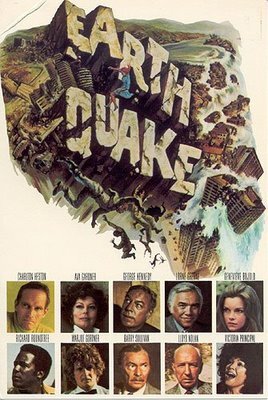 The same year that The Godfather Part II came out, Mario Puzo also got credit for co-writing the disaster movie Earthquake. He got both ends of the quality spectrum that year. While Earthquake may be among the most profitable disaster movies of all time, it’s nowhere near one of the best. But it’s not completely awful, either. It’s got a stellar cast, led by Charlton Heston and George Kennedy, and its premise is pretty interesting. But it gets bogged down by too many characters and boring subplots. If you want to see this kind of movie done extremely well, check out The Towering Inferno, which also came out in 1974. That’s quite possibly the best disaster movie ever made and it deserves its spot as one of the highest grossing, adjusted for inflation. Oh, and Superman: The Movie came along a few years later and showed that the Man of Steel could solve all of the problems in Earthquake in a couple of minutes. Most singers fall flat when they try to make the leap into a feature film. Think Neil Diamond in The Jazz Singer, Mariah Carey in Glitter, and Britney Spears in Crossroads. But back in 1980 (the same year Neil Diamond’s film flopped, come to think of it), Dolly Parton did the unthinkable and starred in the second most popular film of 1980 – behind only The Empire Strikes Back. The original “stick it to the man” comedy, 9 to 5 was the precursor to The First Wives Club, The Devil Wears Prada, Horrible Bosses, and other movies in this vein. It’s enjoyable enough for what it is, but it’s pretty surprising to find it among the most popular comedies of all time. The Shawshank Redemption this is not. I love Richard Pryor in Brewster’s Millions (1985), but I can’t stand him in just about anything else. Pairing him with the manic Gene Wilder seems about as logical as having two Chris Tuckers star in Rush Hour. They have the same type of fish-out-of-water personality, so watching them play off each other just feels redundant and grating after a while. Pryor and Wilder find themselves in a scheme similar to the one in The Longest Yard where they’re prisoners and their warden stands to profit unfairly from a rodeo they’ll be participating in. Hijinks ensue and everything turns out all right in the end. This was actually the duo’s second movie starring together. Their first was the popular Silver Streak in 1976, and it was followed by the profitable See No Evil, Hear No Evil in 1989, and the unmitigated bomb Another You in 1991. Movies don’t necessarily have to be huge grossers to be fondly remembered. And grosses aren’t always a perfect indication of a movie’s true popularity. Does anyone think that Forrest Gump is 10 times better than The Shawshank Redemption because it earned 10 times more than it in 1994? Or that Star Wars: Episode I – The Phantom Menace is twice as good as The Matrix? Of course not. Some movies take a while to find their audience while others that were popular at the start don’t have much lasting power. The point is that even though not a lot of movies are getting over $300 million, that doesn’t mean that they’re not worthwhile films. Only time will tell what a movie’s fate is, whether it’s truly deserving of the title blockbuster or bomb. This entry was posted in Random Stuff and tagged action movies, blockbusters, classic films, comedy, films, fun, history, movie review, movies. Bookmark the permalink. You have virtually no idea what obscure is. Most people today have probably never seen these films, even if they’ve heard of them in passing. My point is that they were popular once, but they’ve fallen into relative obscurity over the years compared to other films in their genres. If you use that logic, then nearly everything is obscure. Be sure to read my other sentence. That puts the first sentence in more context. John Doe, care to explain why these movies aren’t obscure? I can’t speak for anyone else but before reading this article I’d only heard of two of these movies – Stir Crazy and Swiss Family Robinson. Other than that last one, which I think toes the line in terms of obscurity, this list seems pretty good. As for the other films. I wasn’t around when most of these films got a release, but is it just to say that all of them had a hype created around them when they came out? I know The Robe (because of CinemaScope) and Earthquake had. 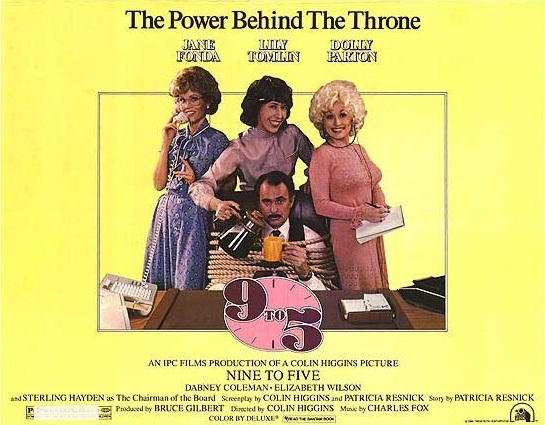 9 to 5 had it’s carpet laid by Parton’s hit. Same for the others? I hadn’t noticed that connection between those three films, but you’re absolutely right. Seven degrees of John Williams. Nice! All of these films had something special about them at the time that definitely intrigued moviegoers. Several of these films are based on popular novels. Bing Crosby had just won an Academy Award for his role in the film Going My Way, so that might have helped its sequel get some more attention. 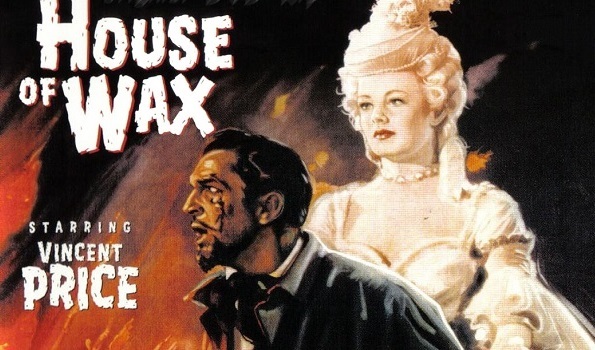 House of Wax helped popularize 3D for a while in the ’50s just as The Four Horsemen of the Apocalypse popularized the tango in the ’20s. 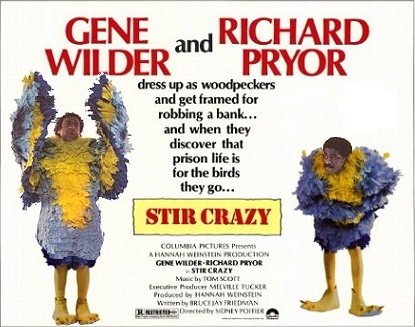 Gene Wilder and Richard Pryor were big stars back in the ’70s and ’80s, which helps explain how they could carry a film so successfully.